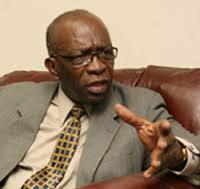 Jack Warner is a disciplined, committed and responsible person. His health initiative is a part of his vision to best represent residents of Chaguanas West. Unfortunately, Food and Agriculture Organisation (FAO) has found T&T is the world’s sixth most obese nation, with 30 percent of adults overweight. In that context, Jack Warner’s the medical scheme is going to go a long way in tackling the problem. Now that is something that the residents want to see a politician initiate, not hurling allegations like the UNC has become experts at… and shamelessly at that!!! Jack Warner’s health initiative will prove to be a model for other neighbouring States to follow…This enterprise will provide a holistic, mobile healthcare service that would include doctors, dieticians, personal trainers, nurses and physiotherapists coming to you at your home or workplace. This service is for everyone in Chaguanas West, from children to elderly bedridden patients. This is a hurray moment and we must all be thankful for such initiative! Jack Warner’s appeal and his ability to interact warmly with his constituents, many of whom he knows by name, is going to be the clincher! He is affectionate and kind and reflects a personality that is becoming of a public figure. He wants to do good and that is his true asset. People of Trinidad and Tobago deserve honest politician! This entry was posted in News, Politics and tagged elections 2013, Foot ball executive, ILP, Independent Liberal Party, Jack Warner, politician, Trinibago, Trinidad and Tobago, Votes. ← Why we should bring Warner back? ?